A few Saturdays ago, I was on the early morning train headed to work. As you do, when you work in a bakery. The first train of the day is pretty special particularly on weekends, since it’s typically filled with people getting home after a big night out. That morning, one such person wanted to know where I was going, because “You don’t look like you’ve been out all night”. I told him I was off to work, to which he replied without a hint of irony, “The weekend pay must be great!” When I told him that the weekend pay was unfortunately exactly the same as the weekday pay, he expressed amazement at the idea that anyone would work on weekends without getting compensated for it. We then proceeded to have a conversation about early morning cartoons (apparently they’re not as good as they used to be, and I’m missing out for never having watched Pokemon), before reaching my stop. I guess many people probably think Chefs lead a charmed life. All that creativity, cameraderie, hilarious stories of hijinks. For the most part, it is. But let’s face it, it’s also a job that’s basically manual labour in a neat starched uniform and a funny looking tall hat. For awhile I believed the hype and chased the dream of the perfect cooking job; always ending up feeling mildly discontented. After watching other people go through the motions of behaving badly, hating their job and making life miserable for everyone around them, I gradually came to realise several things along the way : That every job involves a certain amount of repetition and flirting with boredom. That being good at your job means being able to produce consistent results regardless. That team work means everything in your job. That you don’t have to like everyone, but you should be able to work with everyone and treat them with respect. That this isn’t unique to the hospitality industry, but holds true to pretty much any job in every other field, and that once you’ve realised all this, you can get over it and get on with the rest of your working life. By all accounts, this coming Summer is promising to be a scorcher. I’ve been in many hot kitchens before, but am wondering how well I’ll truly survive this time round. There aren’t enough ice cubes in Antarctica to stop anyone from melting while working next to 300’C ovens. The above pickled peach and blueberry drink, mixed one warm Sunday afternoon, is somewhat similar to a shrub and is the perfect mix of slightly sweet, slightly sour, very cold and very refreshing. One to get me through the Summer. 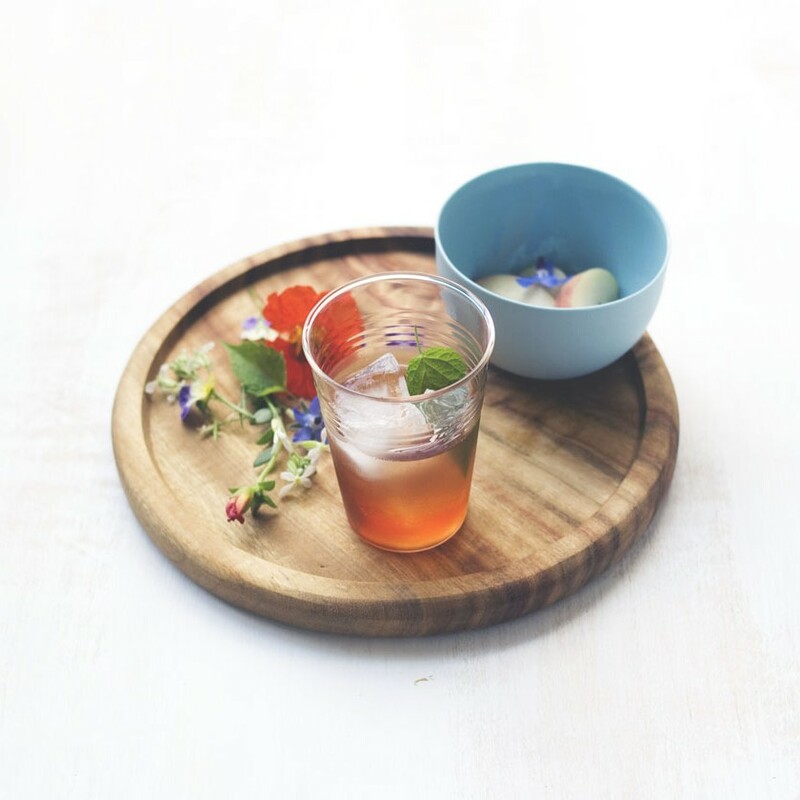 If you’re interested in making something similar, why not try Anna’s Watermelon and Mint Shrub. I agree re: the manual labour. Chefs are the most hardworking people and the ones I’ve met are at once quirky, sometimes outright mad and mostly kind but all have one thing in common – the dedication to their work. Haven’t been here for a while, but lovely writing as always. I hope you’re enjoying your work! That beverage looks wonderfully refreshing. And the watermelon shrub… got to try this. I’m sitting here, looking at the snow, reading about the hot summer in Australia. We live on an amazing planet. 🙂 Oh, and the drink sounds lovely, too! Heh, just got a chance to catch up here. Thanks for the link 🙂 I’ll definitely be doing some shrubbing at my newest place! Well said, and definitely in line with what I am feeling at the moment. I can only imagine the interesting characters on a early morning train 🙂 I don’t envy you in the kitchen in summer. I’m so glad it is cooler this week – hope you get a respite from the heat, too. What a great friend to give you access to a fully ladden fig tree! YUM!